Criterion really spoiled us with that Modern Times blu-ray. I watched the Modern Times blu-ray before watching The Circus blu-ray, and there is a huge difference in video quality. The video quality on The Circus is better than previous DVD versions, but it’s not an eye-opening, impressive-looking blu-ray as Modern Times is. The Circus has a vertical scratch in the middle for the majority of the film, which comes and goes. I guess it was too hard to remove? I don’t know. The video quality is very bright, but not as 3-dimensional as the Modern Times blu-ray. I know it may be unfair to compare the two, but I just connect all the Chaplin movies together, so I would assume that if Modern Times can be restored to perfection on blu-ray, then why not his other films? I watched a little bit of The Circus DVD that comes with this blu-ray too. Even though the blu-ray is better than the DVD, I was more impressed with what they did with the DVD than what they did with the blu-ray. I’ll still watch the blu-ray over the DVD though. The DTS-HD on the Circus blu-ray is just amazing. I’m happy that was pretty flawless. 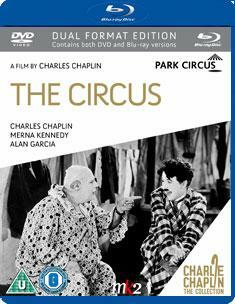 The extras are photo gallery, introduction by some critic, outtakes, and interesting featurettes about the controversy surrounding the movie (Chaplin never writes about The Circus in his autobiography because the movie revolved around his difficult lawsuit divorce. Also, the movie went through a lot of Terry Gilliam-type filming obstacles). It’s amazing that he was able to complete the film and release a perfect film as well. There is also an interesting featurette with Emir Kusturica (my favorite director of all time) on how he’s influenced by Chaplin too. The Circus is a laugh-out-loud funny movie and totally worth buying on blu-ray. 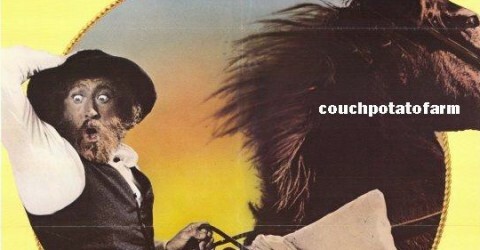 But if Criterion ever releases this film, I probably would upgrade though.